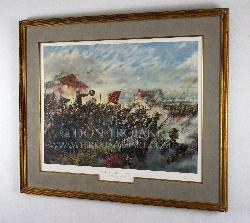 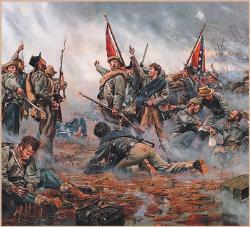 Battle of New Market Heights, September 29, 1864 This haunting image by master historical artist Don Troiani depicts what is arguably the most important day in African American military history. 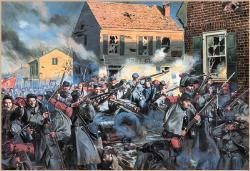 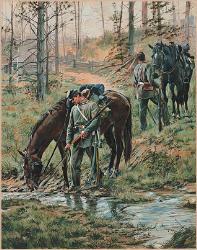 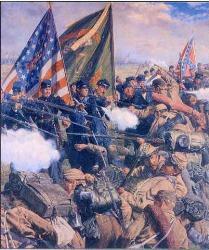 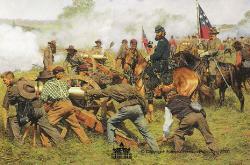 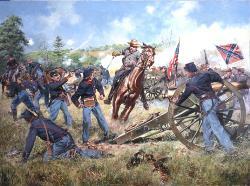 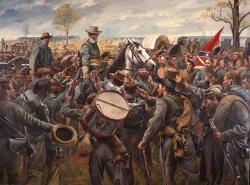 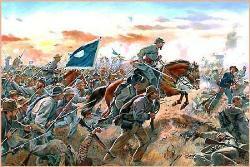 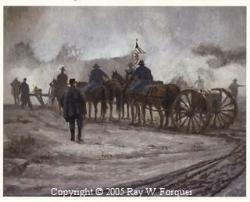 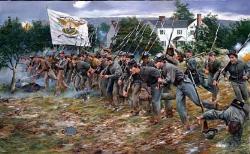 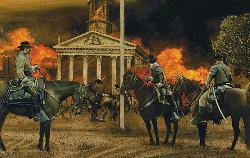 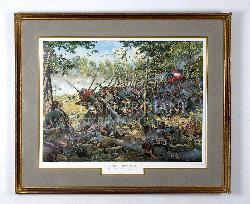 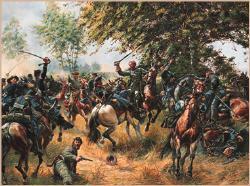 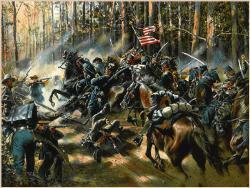 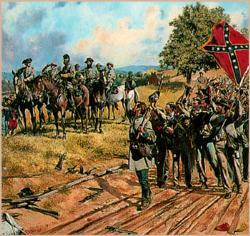 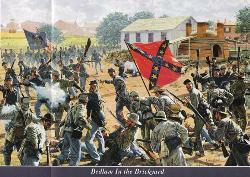 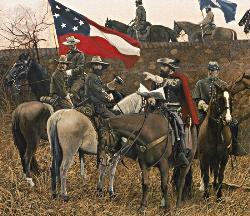 The Battle of New Market Heights, fought on Thursday September 29, 1864 on the outskirts of the Confederate capital of Richmond, Virginia, showcased the fighting prowess of African American Union soldiers (known as United States Colored Troops) and saw the very first time in American history that the Congressional Medal of Honor was bestowed upon men of African descent. 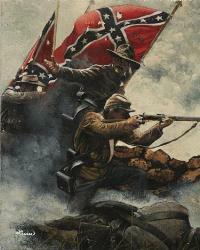 What makes New Market Heights even more remarkable is the sheer number of medals of honor awarded to these freedom fighters – a total of fourteen were awarded to black enlisted men and two were given to white officers who led them into battle. 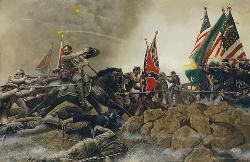 This haunting image captures a brief moment in time when three of those medals were won with fierce determination, heroism, and blood. 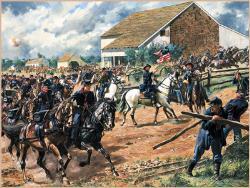 For the men of the 6th United States Colored Troops, New Market Heights would see their first sustained combat – and a horrific introduction to warfare it would be. 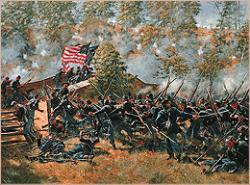 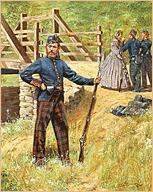 Organized at Camp William Penn near Cheltenham, PA and part of Maj. Gen. Benjamin Butler’’s Army of the James, the 6th was a vital component in a series of battles that have come to be known as the Battle of Chaffin’’s Farm. 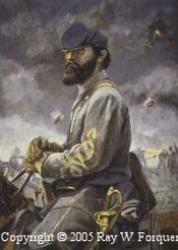 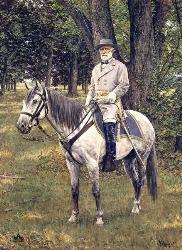 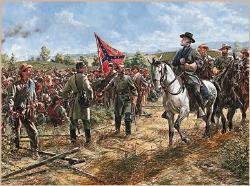 Butler sent his legions in a two-pronged attack against the Confederate forces defending their capital – one would advance in the direction of Confederate Fort Harrison and the other would set its sights on the Rebel earthworks defending the New Market Road, an artery that ran straight into Richmond. 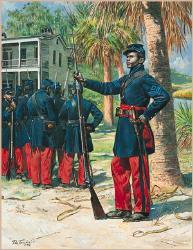 Butler placed all of his US Colored Troops regiments in the vanguard of this assault, hoping that they would win a great victory that would settle once and for all the fighting prowess of the African American soldier. 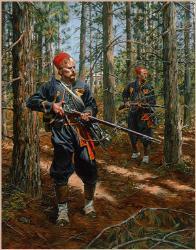 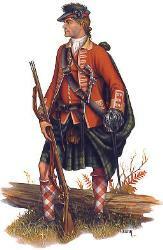 The 6th would be the tip of the spear, going into battle in the predawn darkness with fixed bayonets and musket loaded, but not capped. 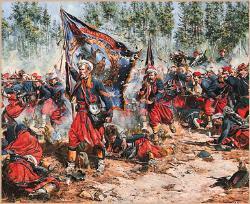 At first, the advance went well – the morning mist enshrouded the attacking column and enveloped them “like a mantle of death” as their brigade commander recalled. 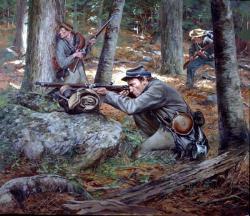 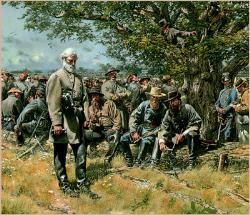 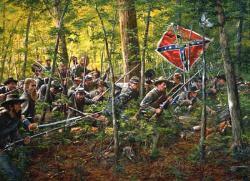 Soon enough, however, the Confederate pickets were alerted and the concentrated rifle and artillery fire of veteran southern troops devastated the soldiers who had become entangled in the obstacles that the defenders had left in their path. 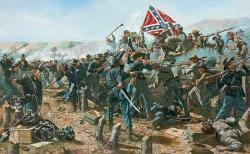 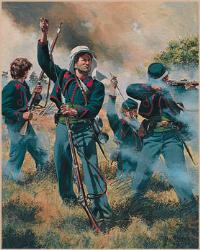 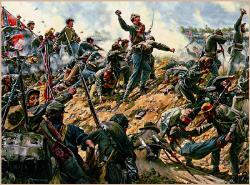 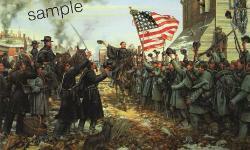 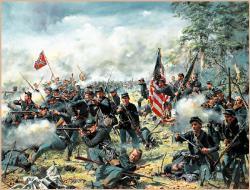 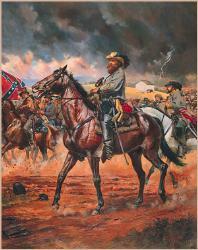 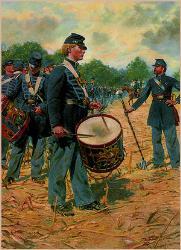 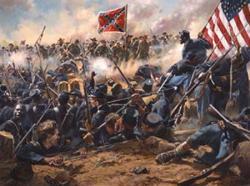 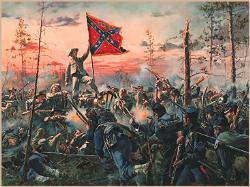 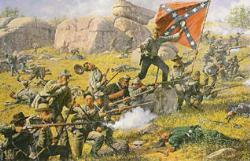 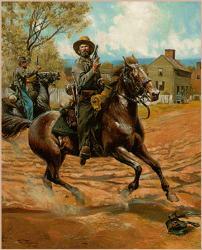 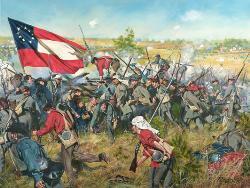 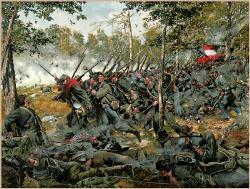 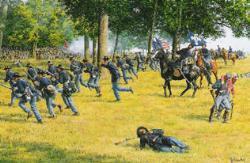 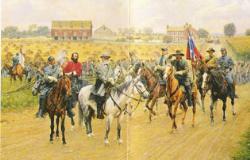 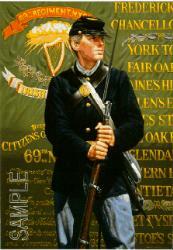 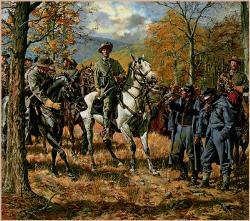 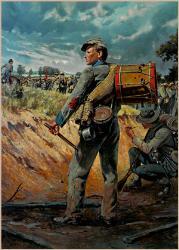 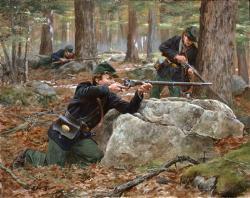 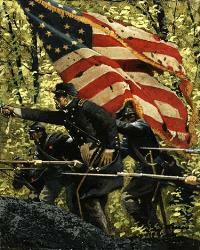 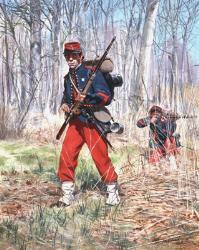 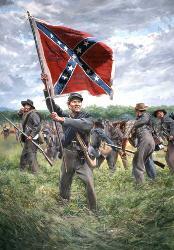 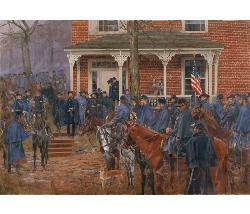 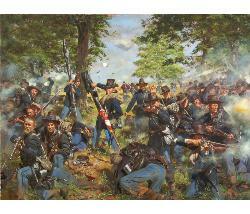 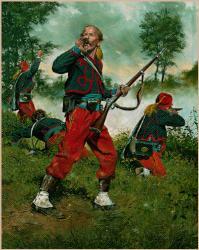 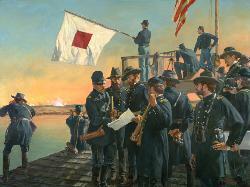 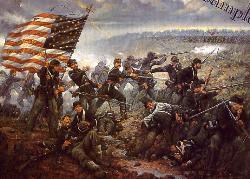 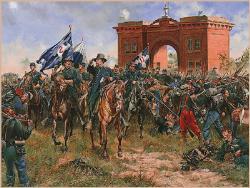 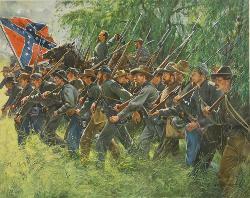 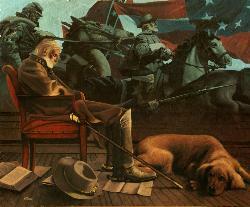 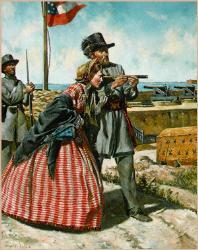 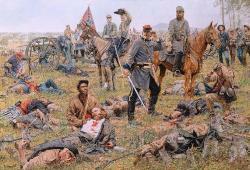 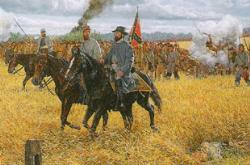 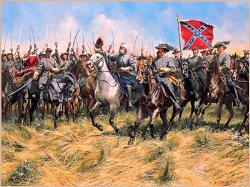 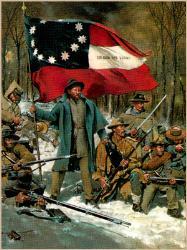 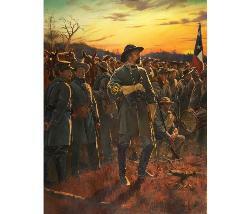 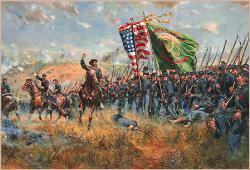 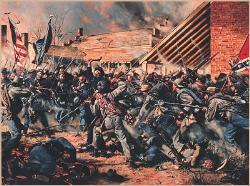 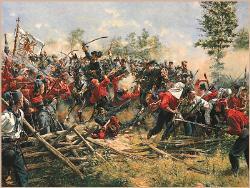 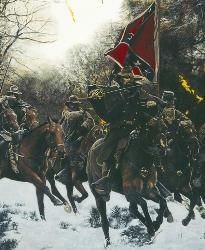 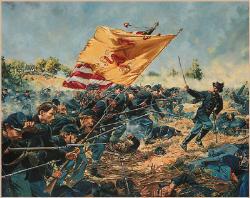 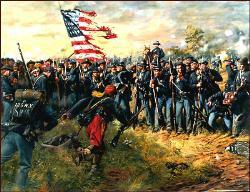 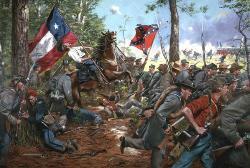 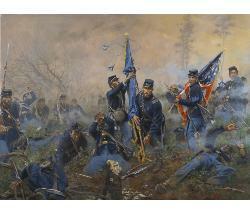 As was the case in innumerable fights throughout the entire Civil War, the color guard was especially hard hit. 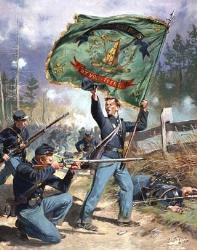 The 6th USCT carried into battle that day the national colors and a blue regimental flag that was given to them in Pennsylvania bearing the motto, “Freedom for All.” Both flags, and the men who proudly carried them into the fight, went down within minutes. 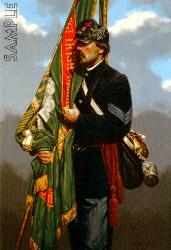 Seeing the desperate situation from different vantage points, three men saw the plight of the color guard and pushed forward to help. 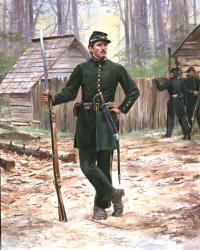 Risking life and limb for the honor of their unit, Lt. Nathan Edgerton, Sgt. 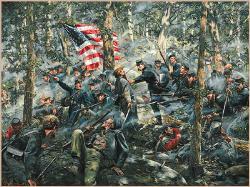 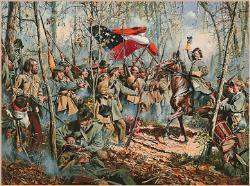 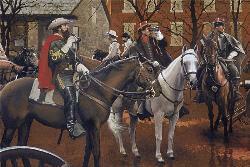 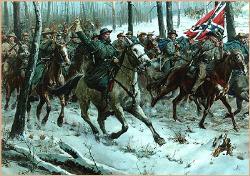 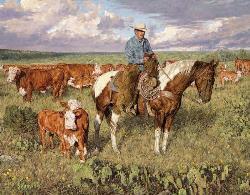 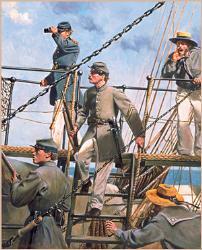 Maj. Thomas R. Hawkins, and Sergeant Alexander Kelly slogged their way to the colors as best they could.